Castile soap is a vegetable soap traditionally made from 100 percent pure olive oil, water, and lye. It is a vegan product because it does not include the addition of animal fats as some other soaps might. It is believed to have originated from a region in Spain historically called Castile, which is where it takes its name from. Sometimes castile soap is called olive oil soap. Castile soap is available in bar or liquid form. 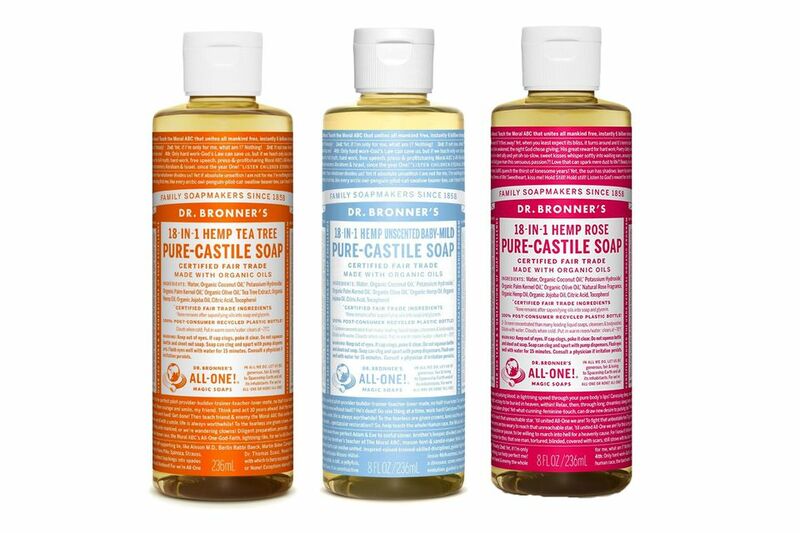 For some great brands to choose from, check out the top Castile soaps for green cleaning. True castile soap does not contain harsh synthetic detergents, and the best ones don't add any skin-irritating artificial colorants, fragrances, or preservatives. Did you know that you can use castile soap to clean your house inside and out? Castile soap is indispensable in green cleaning because it acts as a surfactant and helps lift away dirt and cut through grease. You can use Castile soap to clean your whole house from top to bottom! Because it's eco-friendly and biodegradable, it's also perfect for cleaning outside your home. So, if you need to wash your car or clean your patio furniture, reach for the liquid Castile soap. To make bar soap, sodium hydroxide is used to saponify the oils. For more information, check out these olive oil recipes. Castile soap has many personal care uses, such as shampoo, shaving cream, body wash, and even toothpaste. Try adding peppermint if you're brave enough to brush your teeth with it! Also, it's ideal for washing your pets. Castile soap normally has a shelf life of about three years. Make sure to check the expiration date on the bottle before using. How you store your soap will affect its shelf-life. For example, if liquid soaps are not closed well and kept in a shower, then the possibility of contaminants entering the product increases. So this means the formulation may be compromised, especially if it doesn't contain any preservatives. All-natural Castile soap is a green product because it is biodegradable, non-toxic, and safe to use for cleaning and personal care applications. Because it's soap, it's regulated by the Consumer Product Safety Commission (CPSC), not by the FDA. The term "Castile soap" doesn't appear to be regulated in any way, so look out for companies adding in synthetic detergents and using hardly any olive oil at all.